A MIAM is a Mediation Information and Assessment Meeting and is something that you will need to attend before you can consider making an application to Court in relation to any family matters. The aim of the MIAM meeting is to see whether your family situation is suitable for mediation. The Mediator will tell you more about family Mediation, explore the possibility of you both mediating and tell you about the other options that may be able to resolve the problem you are facing, including going to Court. Remember you can’t apply to court before attending a MIAM meeting, save for exceptional circumstances. The Mediator will undertake a financial assessment to find out if you are eligible to claim Legal Aid. At Children1st Family Mediation Plymouth, we always arrange to see both parents or other people involved in the dispute separately. If you are both willing to attend mediation after attending the MIAM, the mediator will arrange a first mediation meeting for you both to attend, this will normally be together. What if we don’t want to mediate? 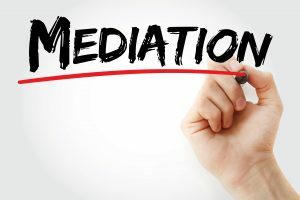 If one of you or both of you do not wish to mediate after you have attended the MIAM meeting, then the Mediators job is finished and we will close your case. You will be able to ask the mediator to sign your court form (C100) or Form A to say you have attended a MIAM. There is a feefor this if you are not eligible for Legal Aid. When you have attended your MIAM and you are considering whether to mediate or not, it is worth remembering that if you have attended a MIAM meeting and you have then opted not to try mediation, then a judge may tell you that you have to come to mediation. • You must attend a MIAM before you can apply to court. • Mediation is less stressful, quicker, cheaper and more effective than other forms of dispute resolution including going to court. Do I have to attend a MIAM before I can go to Court? If you are considering applying to Court then Yes you do have to attend a MIAM , unless there are exceptional circumstances the Mediator will be able to tell you if this applies to you. This doesn’t mean that you can’t mediate if you want to. The Mediator will always consider how to make mediation a safe option for you.